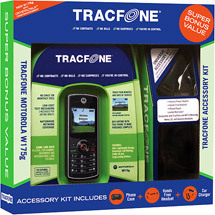 See how to activate Tracfone handsets before you buy one? Here, as an example, is my Motorola W175 Tracfone activation experience. After losing my C261, I went and bought the new basic Model, the Motorola W175 and activated it online. This is something I've done many times before, but this was the first time I took down the details and captured some screenshots. It's not a big deal, but I thought some might find it useful in deciding whether to do it online or by phone. Tracfone has changed the procedure slightly. In the most recent activation, I didn't have to identify the model of the phone - just needed to give the serial number. I bought a new $10 W175. My phone came with a car charger and headset, which I thought was a good deal. Today, you can get a Samsung S150g with double minutes instead. Turn your Tracfone ON by pressing and holding the red POWER/END key until the screen lights up. Since you're reading on the web, I'll assume you want to activate your phone online. So, go to their website and press the green Activate Tracfone "button". Hover over the blue "Activate/Reactivate" area and choose "Activate". 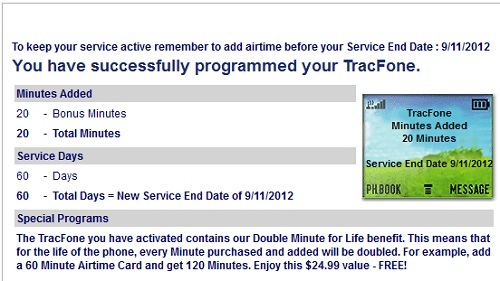 If you are an existing customer with a TracFone"MyAccount", you can click the second button. 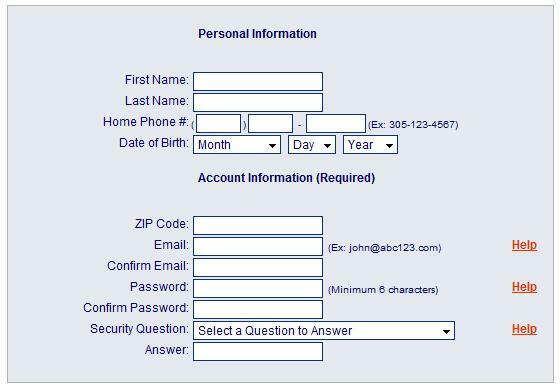 Otherwise, you have to click the first button and enter your personal information along with an email address when you activate Tracfone handsets online. The email address field is limited to a fairly small number of characters. For example, I couldn't enter the email address I have from this site and had to use a shorter alternate email. Next, you select whether it's a new activation or reactivation, or whether you want to port your number from one of your previous Tracfone's. I would have like to use that last option, but at that point I still hoped to find my lost C261 so I didn't want to port that number over to this basic phone. If YOU want to do this in the future, I would recommend that you write down the serial number of the phone so you'll still have it if you end up losing the phone. 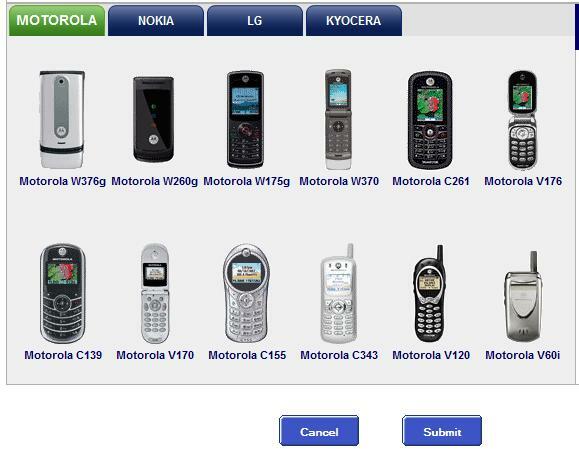 So, in our case we choose New Activation and then select our phone model, the W175. Now, enter your serial number and give your Tracfone a nickname. You can find your serial number in the phone's prepaid menu or on a card in your package. Then enter your calling area zip code. If you have already bought an airtime card, you can choose to add it at this time during the activation process. Make sure to use any promo or bonus codes you may have. Here are some other pages on activating your service. If you want to check these out, you'll see that the process is pretty straightforward in most cases. The process with Straight Talk can vary slightly depending on which network your particular device will use. For example here the LG 290C is activated on the Verizon network. Activating T-Mobile prepaid phones is pretty simple except for one confusing step. Activating a Kajeet phone has a couple of more steps because you have to set up the messages preferences and controls.